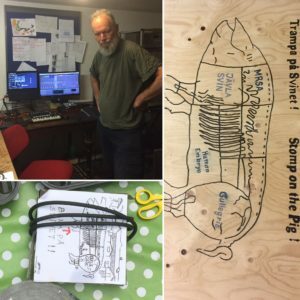 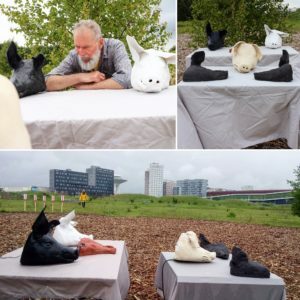 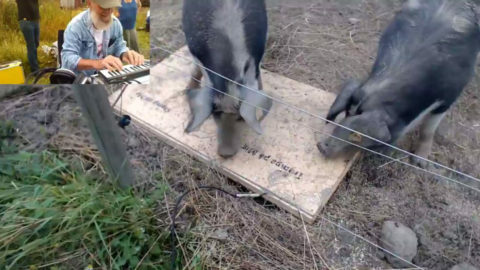 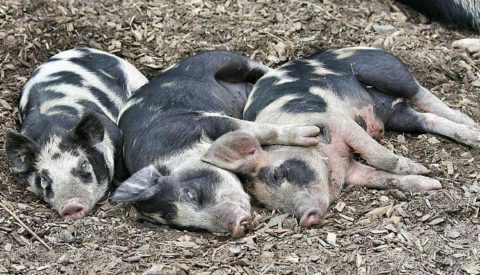 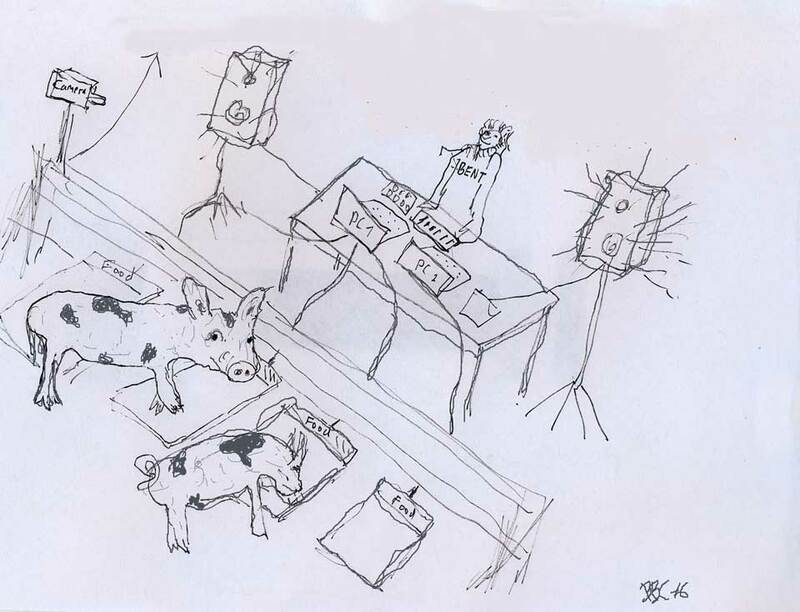 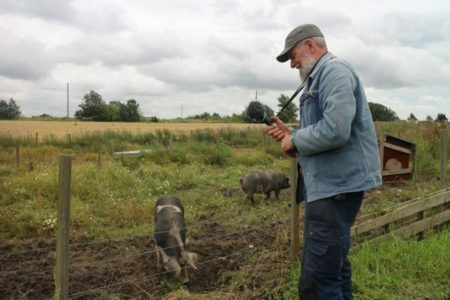 A contemporary soundart updating of human relationships with pigs. 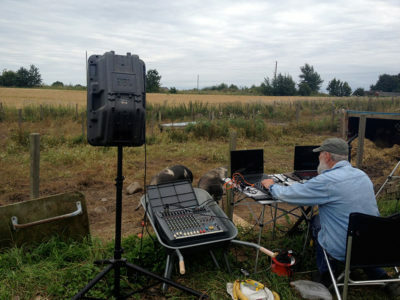 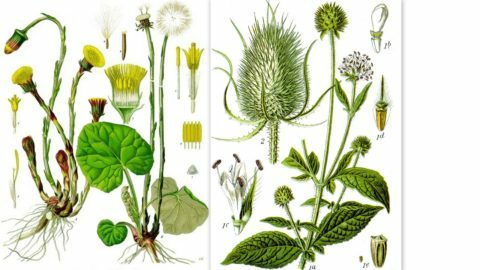 Is it possible to create an interactive sound art performance on a farm in Skåne, using eletronic equipment and a small group of Linderödspigs ? 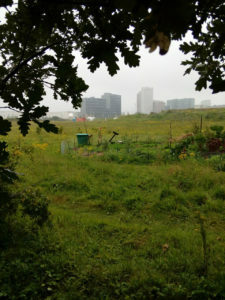 Can you meaningfully create a similar communication on a field in Hyllie, Malmö with people and sounds.